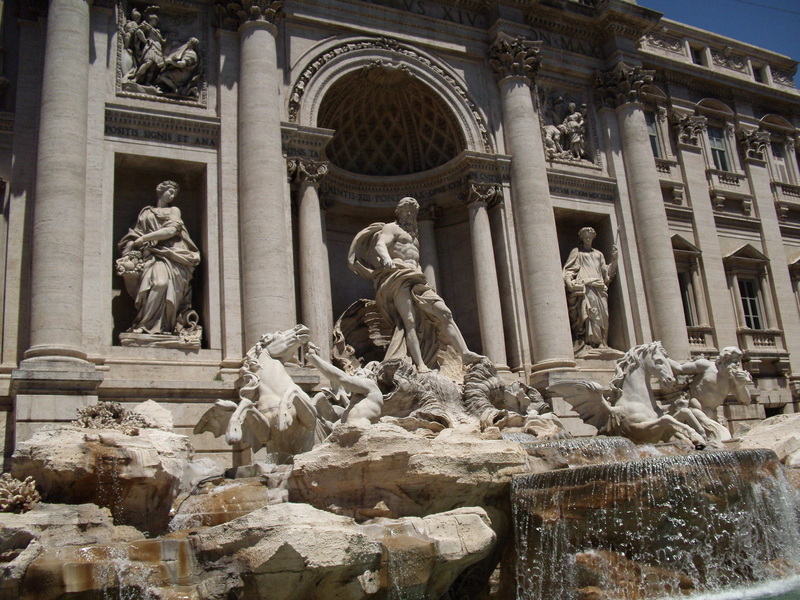 Again, we used Rome in Limo as a private guide and transportation. The driver arrived early, so we were ahead of the tours and we were able to see more by 11:00 AM then the Disney tours did all day. Claudio, our driver, also showed us more of Italian driving – yikes. The entire day was so overwhelming and there is no way we could ever remember everything shown to us. As Claudio stated, in the US, this would be considered a museum. To them, it is simply their beautiful city. Claudio was a fabulous guide and we enjoyed the benefit that he was born and raised just blocks from the Vatican, so he was familiar with the area and all the back alleys to help us avoid the crowds. He was also able to drive up to each venue so we avoided having to walk long distances, which allowed us to see even more. 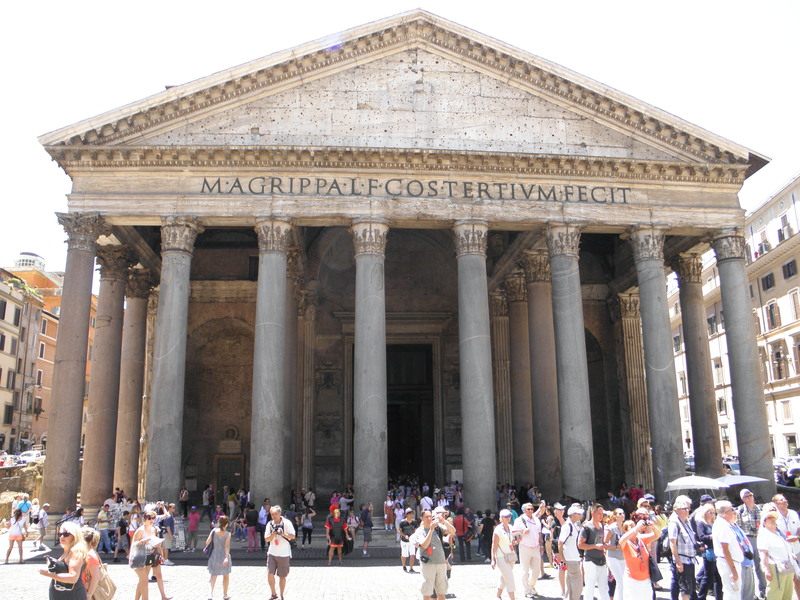 Busses are not allowed on the majority of the streets, so group tours were required to walk from one venue to another. 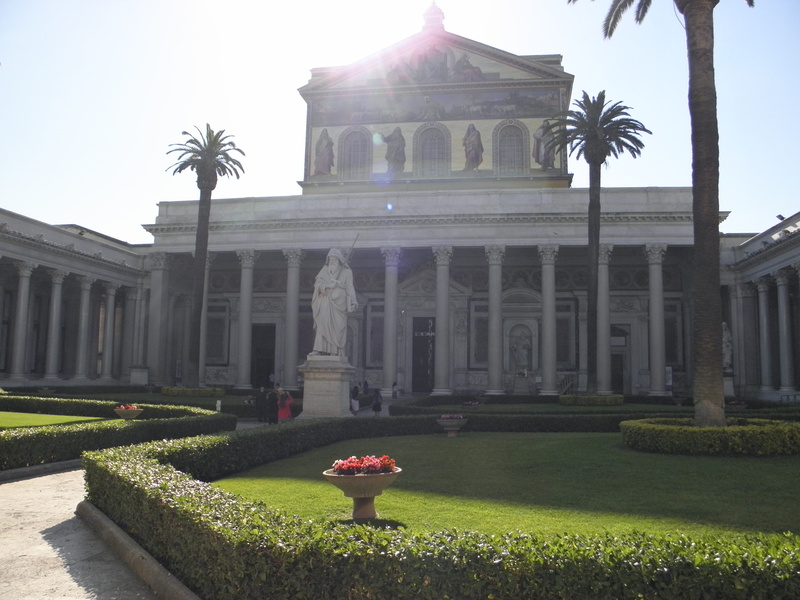 Our first stop brought us to the Basilica of Saint Paul. 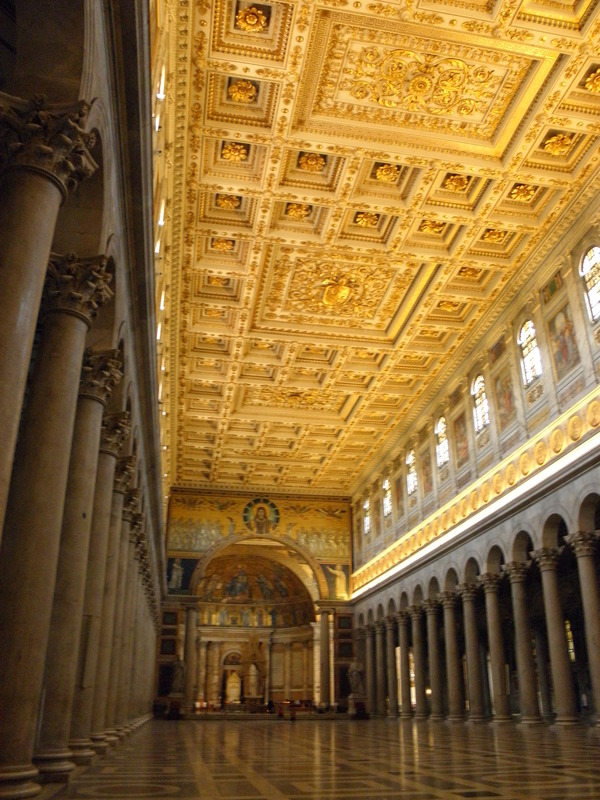 Of all the churches we toured, this was by far my favorite and absolutely breathtaking. 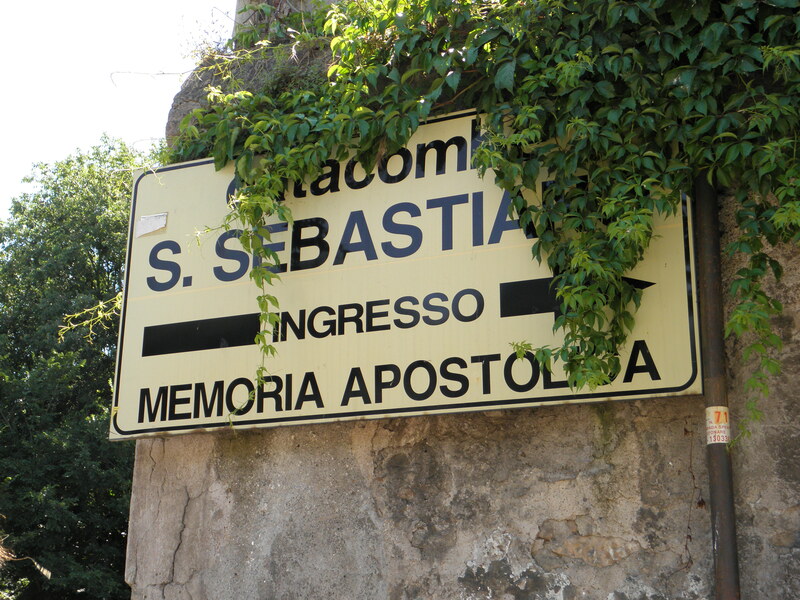 We then visited The Catacombs of San Sebastiano. Being claustrophobic, this was a little unnerving, but the first 5 minutes were the worst with walls as wide as me and the ceiling just above my head. It quickly opened up, which helped. What didn’t help was Nick constantly asking me if I was OK and reminding me how small the space was. 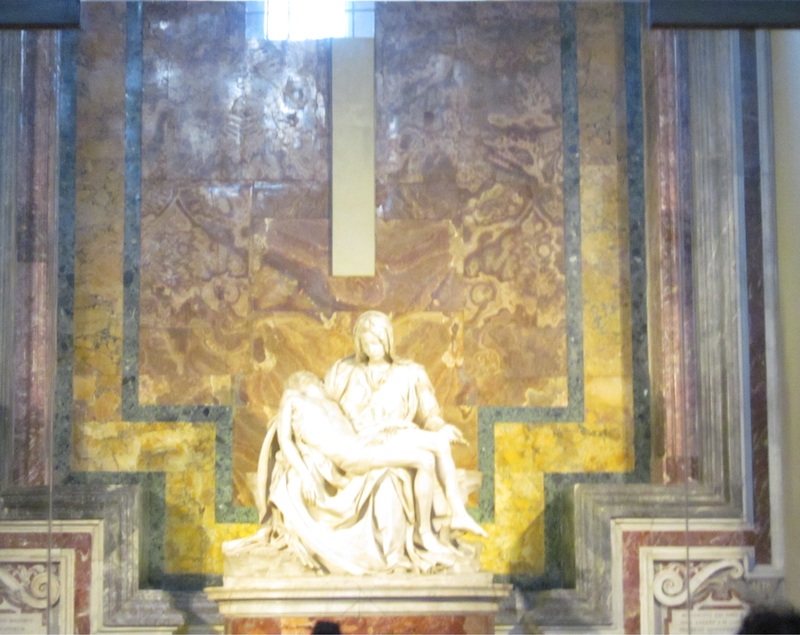 Since only a portion of the catacombs are open to the public, it was a fairly short tour. 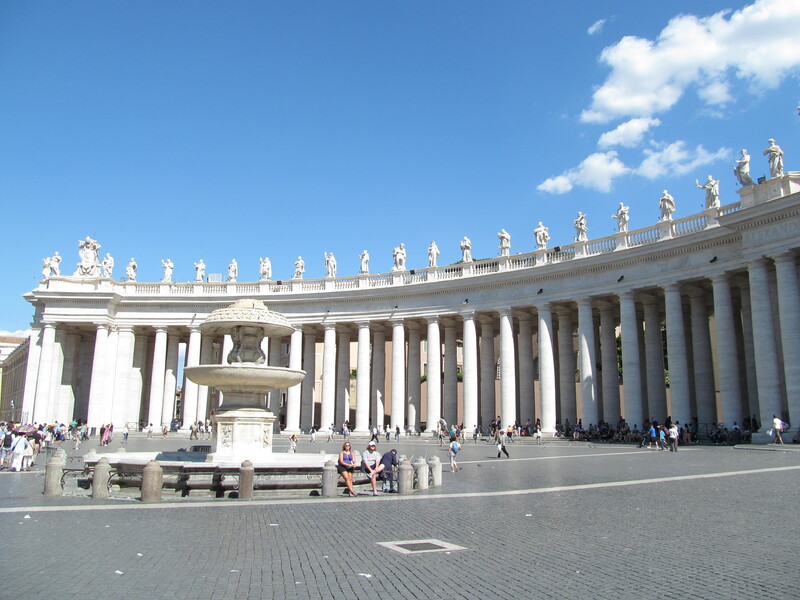 We avoided the center of Rome for the morning because the Pope was conducting mass and the crowds were extreme. I would have loved to see the Pope, but we would not have been able to get even close to the square and it would have consumed most of our day. 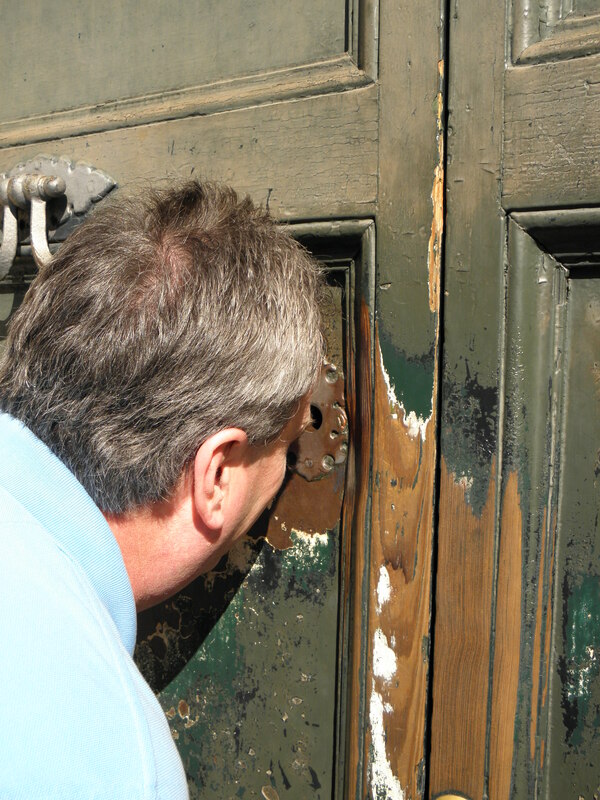 We stopped by “The Secret Key Hole” located in the Piazza of the Knights of Malta. 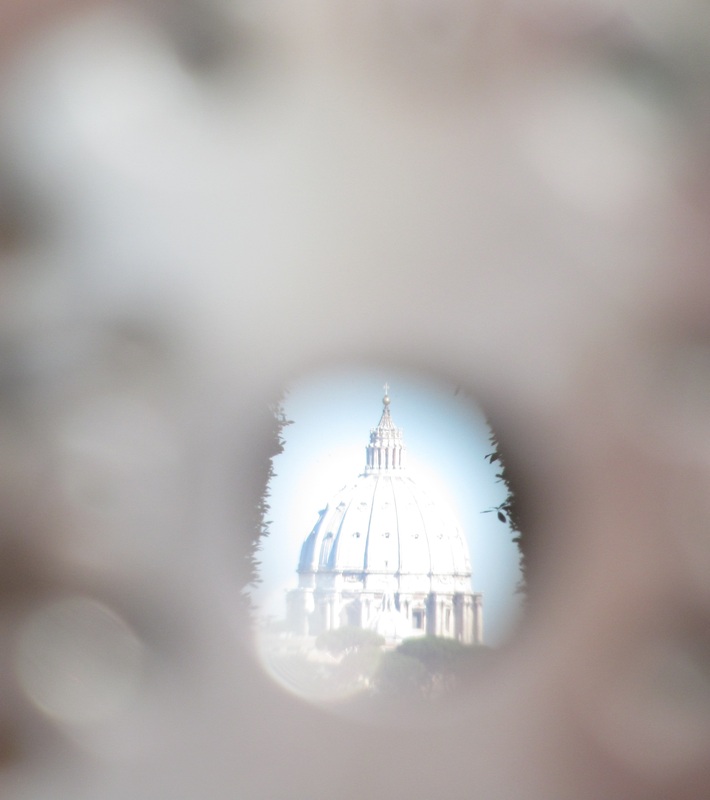 Looking through the key hole, you look through the garden and can see St Peter’s Basilica perfectly. 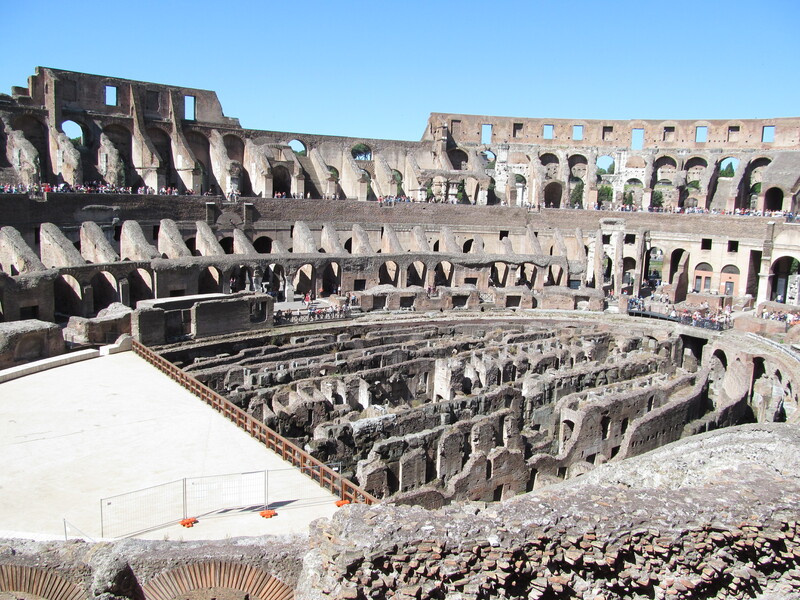 Buying tickets in advance for The Colosseum was a great suggestion by Rome in Limo. Claudio took our tickets and brought us to the head of the line and got us in right away. Easy, Easy. Lunch was a real treat. Claudio joined us for lunch and ordered a 5 course lunch, which gave us a real Italian dining experience. 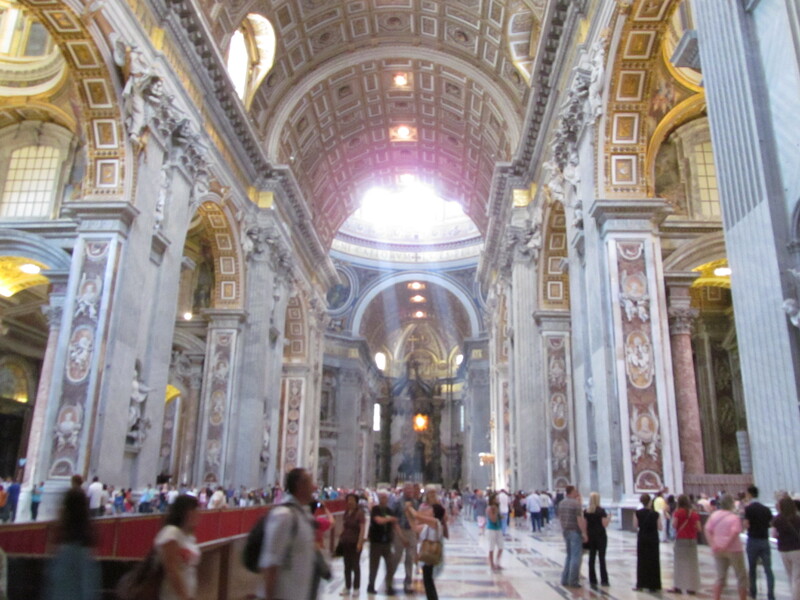 We hired a separate private guide, Michaela, to tour the Sistine Chapel and the Vatican. 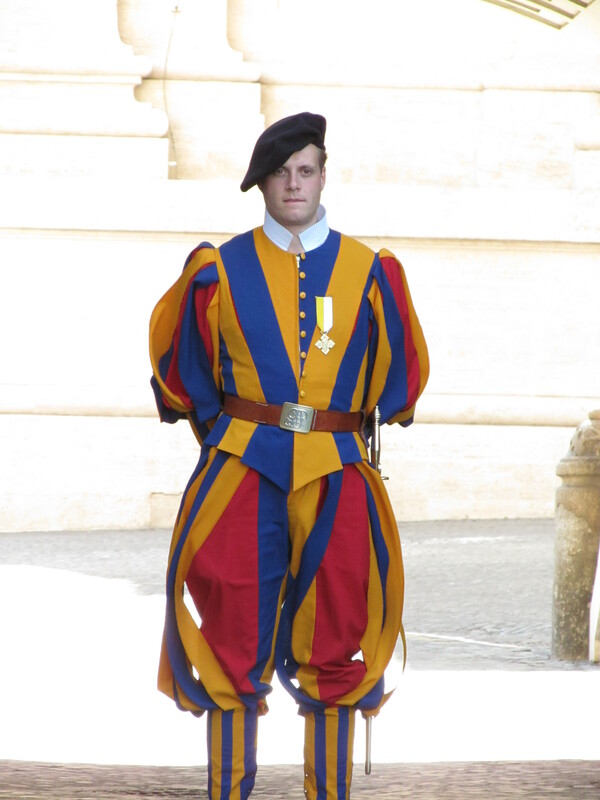 We weren’t able to use Claudio because you have to be licensed by the Vatican. Michaela’s knowledge was impressive and she engaged Nick in her entire tour, which was great. We each took turns throwing a coin with our right hand over our left shoulder, so it looks like we are destined to return!!! !